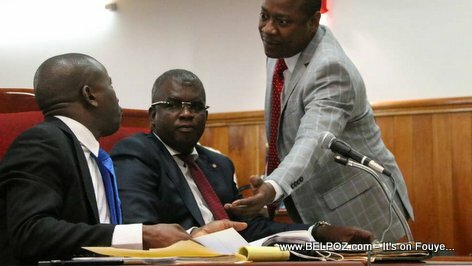 Senator Gracia Delva proposes that the Haitian justice system begins to hunt down the people who are financing insecurity in Haiti. "We have to start looking or the bandits dressed in nice suits among us," the Artibonite senator said. "The bandits in the street don't have money to buy weapons and bullets," he said, "but they are being financed by bandits with power, bandits with money." In Haiti, you often hear about the bandits in the ghetto (quartier populaire) terrorizing the population creating what the media often calls "insecurity" in Haiti. Although it's no secret that they are financed by high ranking politicians and a few rich folks in the country who profit from the chaos. The names of these people are kept secret. either that or they operate in such secrecy that their names are never revealed. According to Senator Garcia Delva, it is time for that big secret to be revealed. I have Believe to get rid of corruption is to get rid of money. Ala parole kai MadanJoseph, Mé Zanmi ...Tet chargé...Et puis ..et puis et puis ...Tim tim, bwa chech? Cé yo ...Un tel ..un tel ...un tel? Hé...hé...Tim tim, bwa cheh ?Kaptain derrriere Pot?